We’re becoming an increasingly over-medicated society – for every headache, we turn to painkillers like ibuprofen and paracetamol. For every cold, we’re seeking out cold medicine at the first sign of a sniffle. And more often than not, for problems like tiredness where we should be looking at getting better sleep, staying hydrated and getting more nutrients in our diets, we’re instead seeking out supplements, like caffeine, for a quick fix that will never treat the underlying problem. We’re becoming a society dependent on drugs and medication to cure all our ills. But for those of you unfortunate enough to suffer with back pain, you know that often medication doesn’t even begin to touch the sides of your pain. Your sleep is disrupted, the pain radiates down your nerves to other parts of your body and even the most basic of everyday activities can quickly become a burden. For back pain sufferers, just having painkillers chucked at you never leads to your issue being properly treated, and often means you end up suffering in silence for the majority of your life. But there are always other means for mitigating your pain aside from conventional medicine – in fact, holistic and natural therapies have been easing the agony of people with back pain for centuries. We took a look at some of the most popular holistic therapies to see how they could help aid those suffering. Up first is an alternative therapy renowned across the globe. Acupuncture has been deemed one of the best alternative treatments for lower back pain, and comes highly recommended by both medical professionals and sufferers. 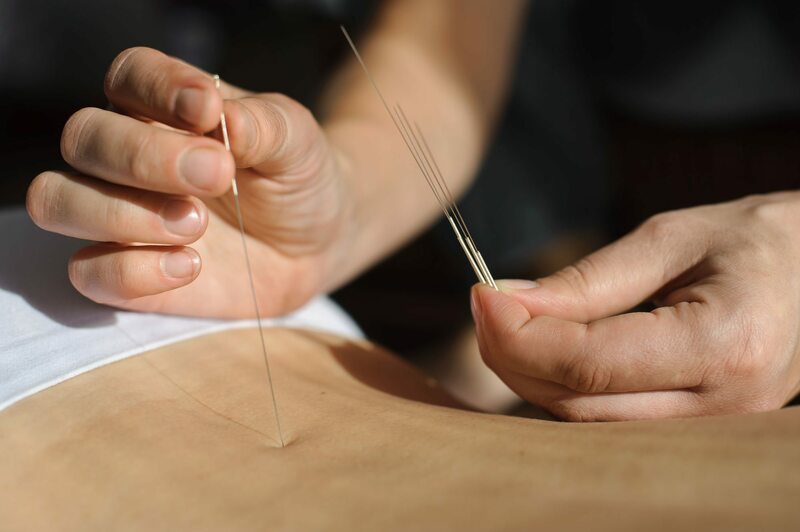 For those who don’t know much about it, acupuncture involves inserting thin needles in your skin at specific points that help to relieve the symptoms of back pain. Derived from ancient Chinese medicine, the needles help to stimulate the sensory nerves under the skin and in the muscles. This results in the body producing natural substances, like pain-relieving endorphins, and it’s these naturally released substances which specialists believe are responsible for the beneficial effects experienced as a result of the treatment. Back pain sufferers should experience some relief after each session, and the effect can last anywhere from a few hours to a few weeks after finishing a round of treatments. It’s particularly useful to those whose back pain is caused by muscle spasms, as well as alleviating the symptoms of nerve-related back pain. Another alternative therapy that’s often overlooked for treating back pain, massage is an excellent form of therapy that can be used to release tightness in muscles. It can help to soothe back pain, help sufferers to function better and allow them to cut down on how much medication they have to take to feel relief. Massage has a heap of health benefits to offer back pain sufferers. It increases blood flow and circulation, which can aid the recovery from muscle soreness caused by unaccustomed physical activity or soft tissue injury. It decreases tension in the muscles, which can help to improve the sufferer’s flexibility, reduce pain caused by tight muscles and improve sleep. It can also increase endorphin levels and, in turn, these can ease depression and anxiety. All this helps to reduce the pain and speed up the recovery, which is particularly important to those suffering from chronic back problems. In a recent study, it was discovered that people who had one hour of massage once a week for 10 weeks, had less symptoms, were more active and spent less time in bed than those who used traditional medication. Regular massage therapy can alleviate some of the symptoms associated with back pain for very long periods. For those who don’t want to see a specialist every time their back pain is bad, there’s always self-massage, and a trained massage therapist will be able to teach sufferers how to do this. It may seem like the last thing you want to do when you’re suffering from back pain, but yoga and pilates have both been proven effective in helping to ease some of the discomfort of back pain. Both bring relief to sufferers through combining strengthening and stretching exercises, which can help to improve the flexibility of tight muscles that can sometimes be the contributing factor to back pain. They can be particularly useful in strengthening the “core muscles”, which help to stabilise the spine. Among the benefits of relieving back pain, yoga and pilates boast a host of other health benefits as well. They can help participants to relax, promote mindfulness and wellness, improve respiration and vitality, as well as cardio and circulatory health. They can even help towards weight reduction, and can increase muscle tone. It is advised that for the maximum benefit, sufferers should aim to do the exercises at least three to four times a week. If possible, try to fit in an hour a day, or just try to sneak it in and grab any free moments you have in the day. You could even try doing 10 minutes of the exercises in the morning when you wake up and another 10 minutes before bed, fitting in any extra exercises when you can. These are therapies that you really have to stick at to see the benefits, but if you’re committed, you should see a great reduction in the amount of pain you suffer in the long term. One of the most common reasons that people are referred to a chiropractor is back pain, so it stands to reason that chiropractic therapies are useful at alleviating it. Chiropractors use chiropractic spinal manipulation to restore joint mobility, manually applying a controlled force to joints that have become restricted by muscle injury, strain, inflammation and pain. This kind of spinal manipulation is believed to relieve pain and muscle tightness, as well as encouraging the body’s natural healing capabilities. The use of spinal manipulation in chiropractic care seems to reduce symptoms, improving function in those suffering with chronic low back pain, acute low back pain and sub-acute low back pain. It is said in the Journal of Manipulative Physiological Therapeutics that the exercise is “likely to speed [up] and improve outcomes”, protecting against future episodes of back pain. Please note, we cannot insure Chiropractors under our Holistic Gold insurance policy. A type of therapy that teaches people to improve their posture and eliminate bad habits, such as slouching, the Alexander Technique can be used to treat those suffering with chronic back pain. It works by changing movement habits in our everyday activities, and shining a light on inefficient habits and patterns of accumulated tension which can interfere with our ability to move easily. There is strong scientific support for its effectiveness in helping to drastically reduce back pain when used long term, and it can even provide a reduction in incapacity caused by chronic back pain. By helping sufferers to shake off old movement habits that might be contributing to their strain, and learn more efficient movements, it can help relieve pain and make it much more manageable. An ancient mind-body practice passed down through the centuries, meditation can help to increase pain tolerance and promote the better management of chronic pain. While it’s not totally understood why meditation can help ease back pain, it’s thought that by inducing physical and mental relaxation, chronic stress levels which aggravate pain are reduced. And finally, onto one of the most ancient martial arts. Tai chi involves using slow, graceful movements and brings together meditation and deep breathing in harmony. Thought to reduce stress, it has also been found that tai chi can greatly benefit those with chronic back pain. Although the research is quite limited, there is evidence that suggests it can alleviate back pain to some degree, reducing pain and improving functionality in people with long-term low back pain. For those who’ve tried everything else, it’s definitely worth considering. What alternative therapies do you recommend for back pain? Share your comments with us on Facebook and Twitter. Holistic Gold also provides insurance for a number of the holistic therapies listed above. For further information, please visit our Holistic Therapist Insurance page.